The launch of No Man’s Sky is finally here, but people find that it is not living up to expectations. Today, Sean Murray, founder of Hello Games and creator of No Man’s Sky, confirmed via twitter that the game does, in fact, have multiplayer. With No Man’s Sky only being out for a short while, and the team at Hello Games being small, this sort of thing is only to be expected. Even big games face these sort of online issues, sometimes even limiting people’s access to the game entierly. While the issues regarding people not able to find friends in the world are not major, they do point to the issue many people have anticipated with the title: the game may not live up to its audiences heightened expectations. 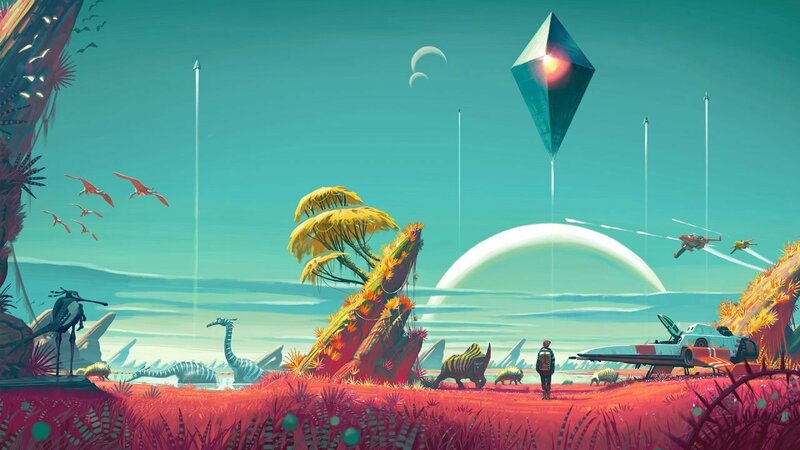 While few details came out about the game before launch, people and press had built preconceptions based on what the game could be, going far beyond what Hello Games have promised. No Man’s Sky takes players to a galaxy of planets where the game randomly creates new and exciting worlds to explore. Each world will have something different ensuring there are always things to do and places to go. No Man’s Sky is currently available for PS4 and will be out on PC on August 12.